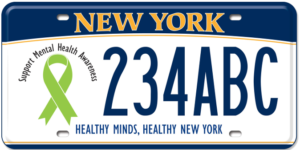 The Mental Health Association in New York State offers WRAP (Wellness and Recovery Action Plan) training. WRAP is a structured plan developed by the individual and shifts the focus from symptom control to prevention and recovery. WRAP identifies those things necessary to feel our best, and builds action plans for maintaining our well-being, and results show a significant reduction in the need for costly mental and physical health and emergency services. WRAP is adaptable to any situation and has become an evidence-based best practice worldwide. Individuals both young and old are developing WRAP to help manage mental and physical health concerns along with coping with life’s various stressors. WRAP has been successful in managing chronic conditions such as diabetes, substance use, obesity, smoking, and arthritis – just to name a few. WRAP can be used by children, adolescents, Veterans, and anyone interested in achieving and maintaining wellness. WRAP is being implemented by behavioral health departments, mental health agencies, substance abuse treatment programs, correctional facilities, universities and by an array of other recovery groups. WRAP Group Development or Individual Consultation – appropriate for anyone interested in developing a WRAP either individually, in a support group or an agency interested in establishing WRAP for a healthy work environment. Training fees vary. WRAP Facilitation Training– a five day training for participates interested in becoming WRAP facilitators. The training adheres to the values and ethics necessary for possessing a thorough mastery of the evidence based Copeland model for training WRAP facilitators. This involves a five day commitment and includes manuals, lunch and the facilitator’s expenses. The investment is far reaching because 20 facilitators can be certified to offer WRAP to the families they work with and the community at large. Training fee varies. What Defines Wellness is a 90 minute MHANYS presentation that asks the critical question, What Defines Wellness, and useful for individuals and groups or agencies interested in healthy minds, bodies and environments. Training fees vary. Anyone interested in additional information, contact Deborah Faust at 518-434-0439 x 221 or dfaust@mhanys.org. Ms. Faust is an Advanced Level WRAP Facilitator certified by the Copeland Center.